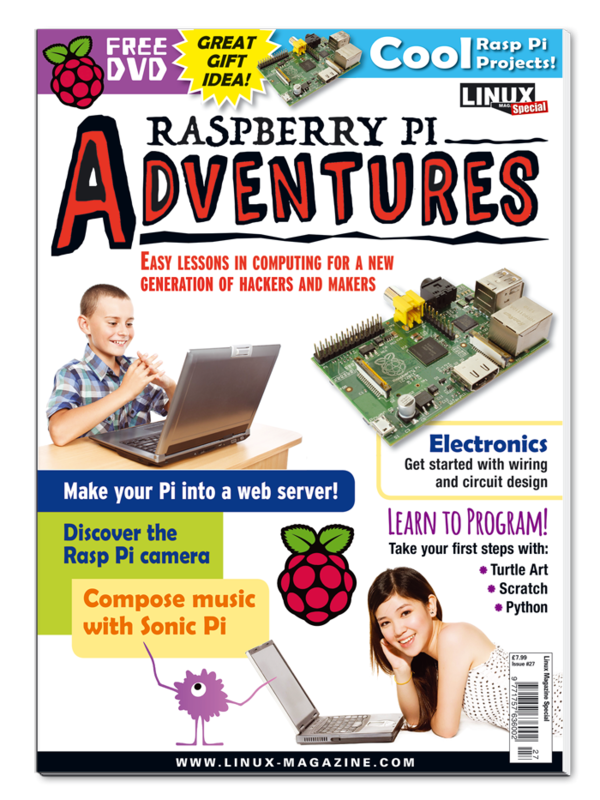 Before you start your first adventure, you'll need to set up your Raspberry Pi and install the operating system. Customize your system, work with the terminal, and install new applications on your Raspberry Pi. Install a web server on your Raspberry Pi and build a simple website. Control a camera with your Raspberry Pi. Take your first programming steps with turtle graphics. Scratch makes programming fun and easy. We'll show you how to to Draw, animate, and create a shark attack game. Now that you’ve tried Turtle Art and Scratch, we’ll show you how to work with the powerful Python programming language. Build a scoreboard while you explore the breadboard and discover other tools for integrating your Pi with electrical circuits. Use Scratch’s built-in graphics editor to create animations for a racing game. Make music and explore the world of digital sound with Sonic Pi.